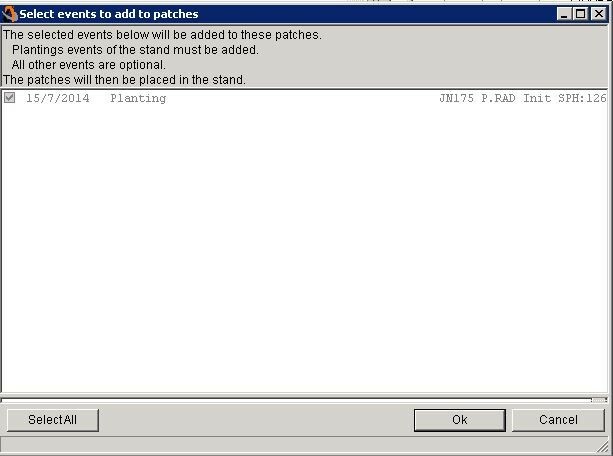 In certain instances you may need to add areas from Landbank into a stand (and subsequent events) that have been accidentally left out by mistake; such as when you have created and planted a new stand and the exact boundaries are not known until after the planting event has been checked. 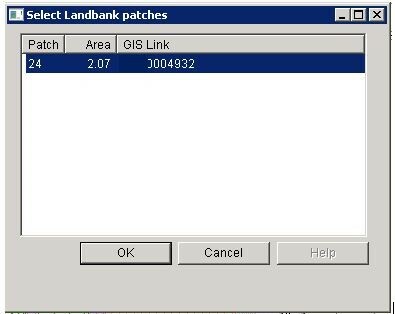 If the areas are not yet in Landbank they must first be added (either by converting to Lankbank from Non-Productive or creating a new Patch from a polygon) before you can add them to a Stand. 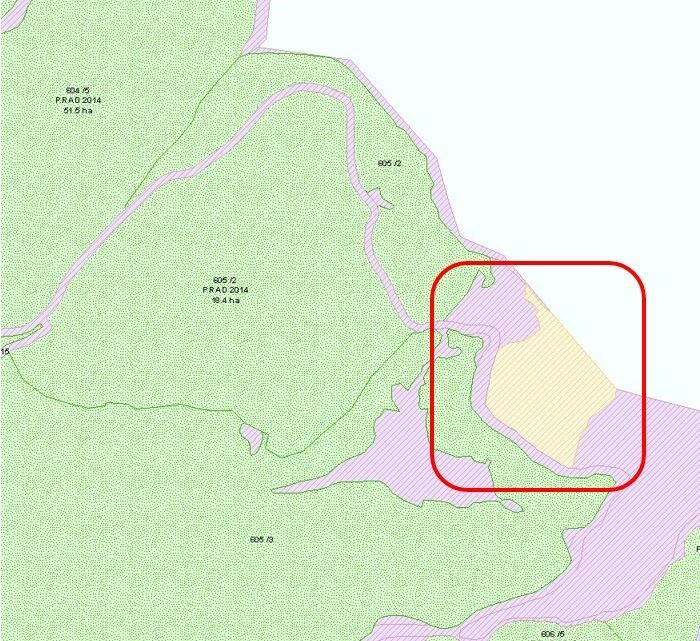 In the example below we want to add the Landbank area into Stand 605/2; being planted in 2014. Select the appropriate Stand in GeoMaster (the stand will be highlighted in the GIS) and click the Edit Current Item box and then click the Add Patches box (which won’t be greyed out once you click the Edit Current Item box). Select the available patch to add and click OK. Note the Landbank patch you wish to add must be in the same Compartment as the Stand you wish to add the area to. If you have several Landbank patches in the Compartment make sure you select the correct one. Confirm the events that new patch will be added to and click OK. The patch is now part of the Stand (removed from Landbank) and included in the planting event. 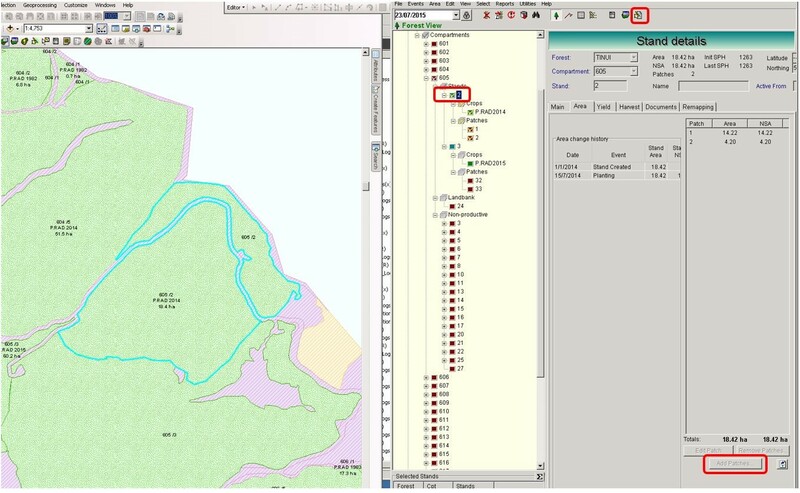 If you want more information about GeoMaster provided by the cloud services at Interpine feel free to contact us.